Some residents in the city's Bridgeport neighborhood are questioning why classroom materials were dumped outside a Chicago Public School. 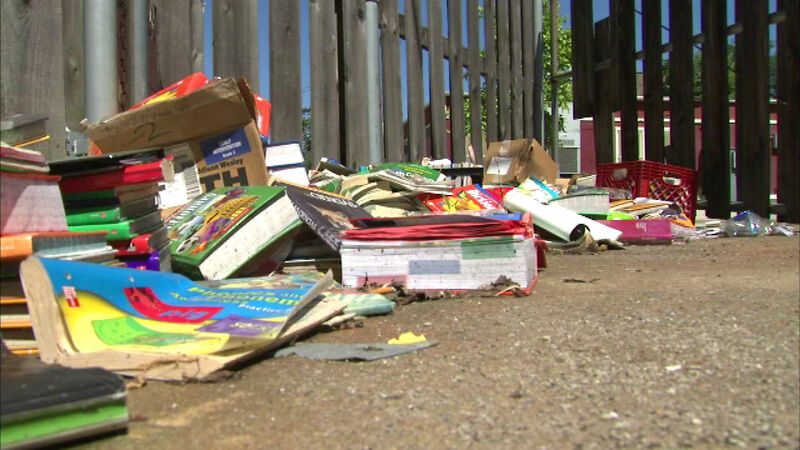 CHICAGO (WLS) -- Some residents in the city's Bridgeport neighborhood are questioning why classroom materials were dumped outside a Chicago Public School. Textbooks, maps, workbooks and other classroom materials were seen stacked up next to and inside of a Dumpster outside of Charles N. Holden Elementary School at 31st and Loomis. 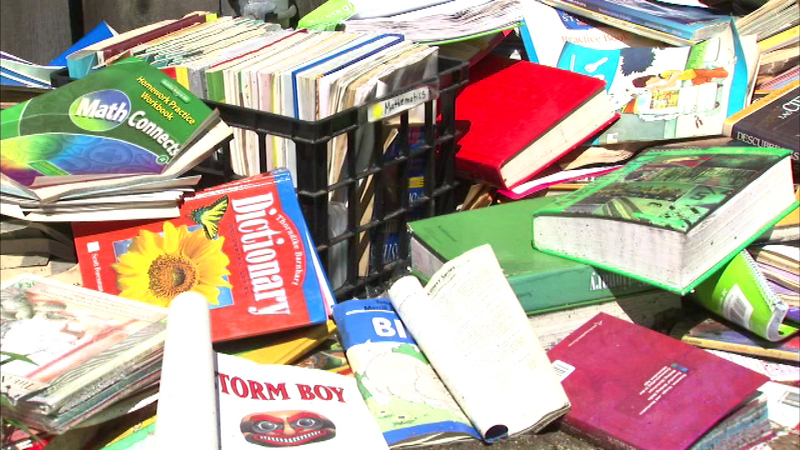 Textbooks, maps, workbooks and other classroom materials were dumped outside of Charles N. Holden Elementary School. A spokesperson for CPS said the books were disposed of because they were "outdated and no longer fit for classroom use." CPS said the materials will be disposed of properly and anything that can be recycled will be. CPS is currently dealing with a $1.1 billion budget shortfall.